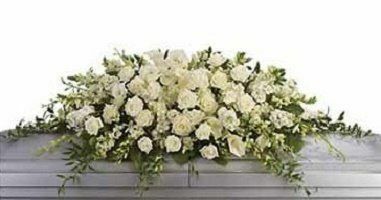 Angel Funeral Tribute – A White Chrysanthemum based Angel Shaped Funeral Tribute with Wings & Spray in a colour of your choice.. Floral Tributes by Home of Flowers, your Local Online Florist in Westcliff on Sea. At Home of Flowers, your Local Florist in Westcliff on Sea, we have a wide selection of Funeral Flowers. 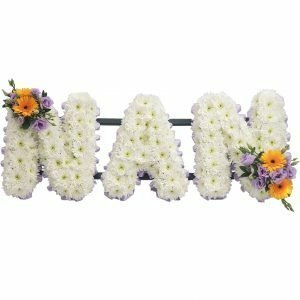 Name Tributes like Mum & Dad or Nan & Grandad are always a popular choice. We can create any name required please ask for further details. Wreathes are also a popular favourite and our top choice is Rose and Lily Based Wreath . Or send your condolences with our selection of Sympathy Flowers like White Lily Wrap. Get Home of Flowers, your Local Online Florist in Westcliff on Sea, to deliver your flowers. 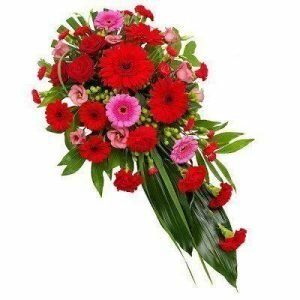 Place your order before 1pm for Same Day Flower Delivery. We deliver Flowers in Westcliff on Sea and all surrounding areas. Hayley at Home of Flowers has over 25 years experience in floristry. She prides herself in delivering only the best selection of fresh flowers to your door. Browse through our vast selection in our Shop to find that perfect gift or Contact Us for a any personalised requirements.